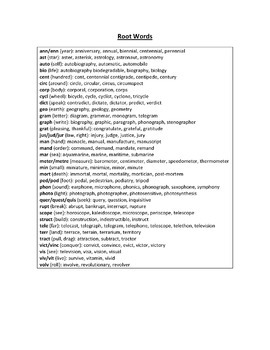 Students will learn how to break down words into their smallest parts, and make educated predictions as to what words mean (even if they have never seen them before). 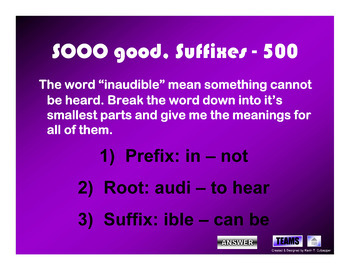 You will get a list of common roots and affixes with an accompanying worksheet/activity. 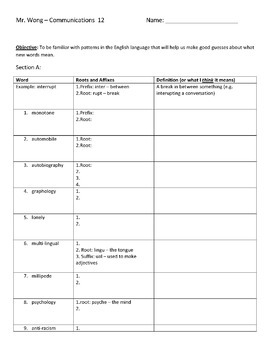 This is excellent for vocabulary building, and I have used this with primary and middle school learners as well as upper ESL learners.